Are you waiting for JSSC Syllabus 2019? If yes then here we are providing you subject wise crucial topic for Jharkhand SSC Excise Constable Exam 2019. JSSC Exam date will be announced soon by the department. Applicants who are participating in written exam must check JSSC Excise Constable Syllabus 2019 from here. For best preparation of written exam candidate should download Jharkhand SSC Syllabus & Exam Pattern.JSSC Exam date will be announced soon by the department. To get further more information applicants must read the given article very carefully. How to prepare For LDC, Panchayat Secretary and Stenographer Exam JSSC LDC Syllabus 2017 & Exam Pattern? 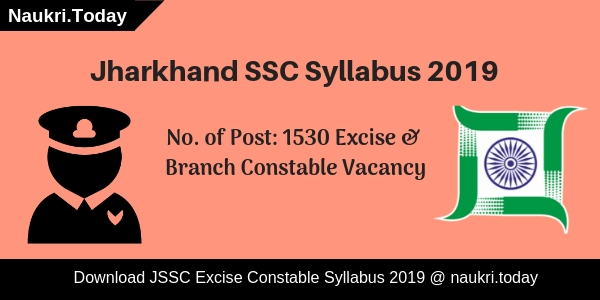 Fresh Update as on 04.01.2019: Candidates should check here Jharkhand SSC Syllabus 2019 for Excise & Branch Constable Posts. The Department will announce the exam date shortly. Applicants should check the exam pattern and selection criteria form here. Participating Aspirants may download JSSC Syllabus 2019 from a link given here. Department will going to select candidates on the basis of various examination. JSSC Exam will be held in three phases. For detail information of Jharkhand SSC Exam Pattern read the below section carefully. Applicants will be having written exam which will have three parts i.e. Paper I, Paper II & Paper III. Paper I will be of Hindi & English. Paper II is having various languages. Candidates who get qualify in written exam will be called for Physical Test. For best preparation of written exam applicants must download JSSC Syllabus 2019 pdf from the link given below. Finally, who cleared physical test will be having medical examination for JSSC Excise Constable posts. Here some minimum qualifying marks are mention by the department to get eligible for JSSC JECCE Jobs. Written exam will consists of three papers. Each paper will be objective type in nature. For more details relevant to written examination you should read the section given below. Paper I: It will be of two parts, First part will be of Hindi Language & Second one will be of English Language. Paper I will contain 120 questions and each question will be of 03 marks. In Hindi 80 questions will be there & English 40 questions are there. Time duration to complete exam will be 2 hours. There will be negative marking scheme in this 1 marks will be deducted for each wrong answer. 30% marks is compulsory to passed written exam. Paper II: This paper will be based on various languages. It will have 100 questions related to respective language. Time duration for this paper will be 2 hours. Each question contain 03 marks and negative marking is also applicable for every wrong answer 1 mark will be deducted. It is compulsory to get 30% marks in each paper. Paper III: In this paper 120 questions will be there. It will be four subjects i.e. General Knowledge, Science, Mathematics, Knowledge related to Jharkhand State. For more information related to JSSC JECCE Exam 2019 must read notification from the link given at the end of article. Candidate who qualify in written exam will be called for physical test. Here some physical standards are fix by the department. 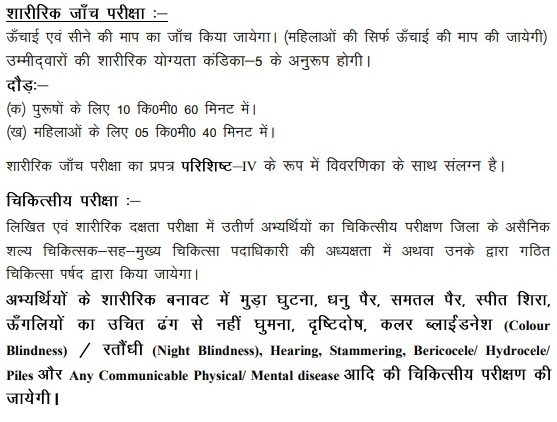 Applicants must fulfill these conditions of physical parameters which are given in below table. Applicants who have passed physical test, finally they will be called for medical examination by the department. Candidates should be physically and medially fit for the Excise Constable posts. For more details go to the official notification of JSSC Exam 2019. For better preparation of JSSC JECCE Exam we are providing you subject wise important topics. Applicants must download JSSC Syllabus 2019 from here link given below at the end of the article. India and It’s Neighboring Countries. Conclusion: Jharkhand Staff Selection Commission has issued notification for 518 Excise Constable post. For better preparation of exam applicants must download JSSC Syllabus 2019 from here. Are you participating in Constable Exam? If yes then here we are providing you JSSC Syllabus 2019. Jharkhand Staff Service Commission is going to conduct written examination for 1012 Special Branch Constable post. So, participants who have filled JSSC Exam 2019 application form must be waiting for exam syllabus. For best preparation of examination we are providing you subject wise topics which are important for examination point of view. For more details regarding examination pattern, selection process & crucial topics, aspirants must read the whole article given below carefully. Jharkhand Staff Service Commission has issued notification for 1012 constable vacancies. Opening date for filling application form is 26.12.2018. Interested and eligible participants can apply online before or on 18.02.2019. Applicants who have applied online for JSSC Exam will be called for written examination. For getting good marks in written test aspirant must know important topics regarding JSSC Constable Exam 2019. To get crucial topics subject wise read article carefully. Here examination pattern is also given in below section. Aspirants can download JSSC Syllabus from the link given below. Department will going to held written exam for the candidates who have filled online application form for JSSC Vacancy 2019. Applicants who qualify in written test will be call for physical test and medical test. Aspirants will be having their physical measurements also to get eligible for JSSC Constable Jobs 2019. Selection of the contenders will be on the basis of marks obtained in written exam and performance in physical test. Here some physical standards are given by the department for selection. applicants must fulfill these standards for constable job. Applicants will be having written test which will have two parts. Exam paper will be objective type in nature. Paper I : It will contain five subjects i.e. Hindi, English, Mathematics, General Knowledge, General Science. There will be 175 questions in paper I. Each question contains 2 marks. JSSC Exam will also have negative marking scheme in which for each wrong answer 0.66 marks will be deducted. Time duration for written exam will be 2 hours. Paper II: It will be in any one language like English, Hindi, Sanskrit, Urdu, Odia, Nagpuri, Bengali etc. For passing paper II 33% marks is compulsory to get selected for constable post. Total 50 questions will be in paper. Each question contains 1 mark. For every wrong answer 0.33 marks will get deducted. Time duration for paper will be 1 hour. To get rest of details candidate must read official notification from the link given below. Here we are giving you subject wise important topics for Jharkhand SSC Exam 2019. Participants who are going to appear in written exam must download JSSC Syllabus from the link given below. For more details candidate can check official notification from the link given below. Candidates who are participating in JSSC Constable Exam 2019 must download exam syllabus from here. To download JSSC Exam Syllabus 2019, We are providing you easy steps to follow. First of all, Applicant should logon to official portal i.e. jssc.nic.in. 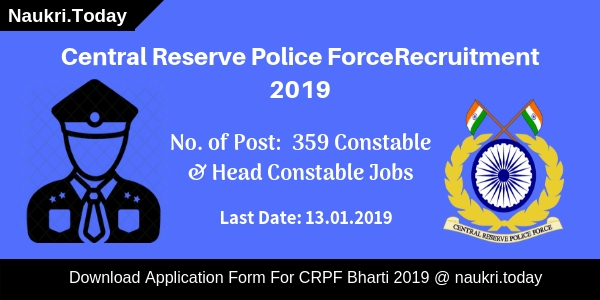 Then search for JSSC Constable Syllabus 2019 link & Click on it. One pdf file will appear to your screen. Afterwards click on download for downloading JSSC Syllabus 2019. Aspirants can also take print out of syllabus for better preparation. Conclusion: Jharkhand Staff Service Commission will conduct written exam for 1012 constable post. Candidates who have filled online application forms can download JSSC Syllabus 2019 from link given above. JSSC Exam 2019 date will be announced soon by the department. Have you applied for the exam conducted by Jharkhand PSC? If yes, then this article may be useful for you. As we know that in the coming days, the department will be conducting the exam for various posts tentatively in the month of October or November 2018. For good preparation of the exam, the candidate will require the JSSC Syllabus 2018 which can be downloaded from here in pdf. So, you may start your preparation for the exam and read the complete Jharkhand SSC Exam Syllabus and Pattern from here. Our team has prepared this article especially to help you to check all the JSSC ANM Exam Syllabus relevant details. You are advised to read the complete article here at naukri.today. Name and No. of Posts: 166 Pharmacist, ANM, and Other Posts. Applicants who will give the exam for the mentioned posts can check the JSSC Exam pattern & Syllabus 2018 from here. The department has not mentioned the dates of the exam but most probably exam may hold in the month of October and November 2018. Candidates can check the written exam pattern and JSSC Paridhapak Syllabus from here. There will be total 100 questions from three topics i.e. 60 question from general knowledge, 20 question each from Hindi and English Language. Applicants will have total two hours of duration to complete the test. The question paper will be objective type in nature. You can download the complete JSSC ANM Exam Syllabus 2018 pdf from the links given at the end. Good preparation to score well in the exam, you will require the JSSC Exam Syllabus and Marking Scheme 2018. The candidates will get the complete details which are mentioned topic wise in the upcoming article. You can check the required details for the Jharkhand SSC Syllabus 2018. The applicants can read the required to check the JSSC ANM & Pharmacist Exam Syllabus can refer our page for the organized information. Conclusion: JSSC Syllabus 2018 is available here from our website. Candidates whose applications form has successfully submitted must be preparing for the exam can download the JSSC Exam Syllabus 2018. The department will conduct the exam most probably in the month of September 2018. You can stay connected with naukri.today for more latest updates for jssc.in 2018 Syllabus and Exam Dates. Dear Readers, We are discussing JSSC LDC Syllabus 2017 & Jharkhand SSC Panchayat Secretary Exam Pattern 2017. Candidates if you are looking JSSC Panchayat Secretary Syllabus 2017 & Jharkhand LDC Exam Pattern then you are the right place. Jharkhand SSC will be going to conduct the LDC & Panchayat Secretary exam at various center. Applicants who are applied for Jharkhand SSC Exam, then you can download the Jharkhand SSC LDC Syllabus and Panchayat Secretary Exam Pattern. Applicants can get good marks then they are studying very hard by using JSSC Syllabus. About JSSC is Known as Jharkhand Staff Selection Commission. JSSC is conducting the exam for LDC & Various Post. The candidate who has completed the JSSC Online Registration Process will be selected through the Written exam (Both Pre & Main Exam). Applicants who wish to appear in the JSSC 2017 Examination Can start preparation with the help of JSSC LDC Syllabus 2017. Here we are updating all the JSSC LDC Panchayat Secretary Old Previous Year Question Papers, Model Question Paper, JSSC Syllabus & Exam Pattern. Fresh Update (18.08.2017): Dear Applicants, If you are waiting for LDC Exam Date, then you can check Exam Details from here. Department has issued Exam date & JSSC LDC Admit Card releasing Date. Check More details about JSSC Admit card 2017 from here. 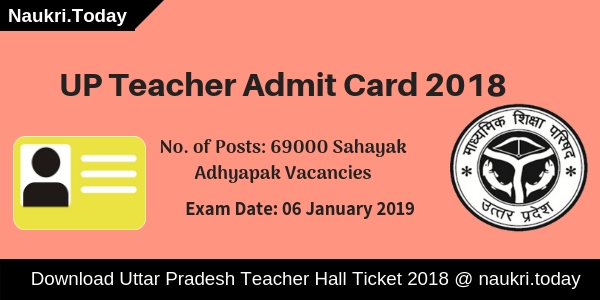 JSSC LDC, Panchayat Secretary and Stenographer Exam Notification 2017: The Jharkhand Staff Selection Commission (JSSC) has released a notification for the recruitment of 2808 LDC and panchayat secretary Vacancies, Read full details click here. Interested candidate can fill Jharkhand SSC LDC application form from 02.05.2017 to 15.06.2017. If below of 15000 application form are submitted then pre exam is not conducted. The only Main exam will be conducted by the JSSC department. In this Article, we have provided complete information regarding JSSC Exam 2017. visit this article for more update. Selection Process For Jharkhand SSC Exam: Jharkhand SSC will going to conduct the Written exam in the month of June/ July 2017. Applied candidate should be selected on the basis of best performance in Written Exam & Merit List. The applicants who are searching for Jharkhand SSC Exam Syllabus 2017 should no need to waste the time anymore. Here we have provided topic wise information for both Prelims & Main Exam. Rest of the details like JSSC Syllabus 2017 are given below you should go through it. The exam will be consist of Objective type questions. The exam will be conducted in two parts i.e. Preliminary & Mains Exam. Preliminary Exam will be of 360 marks. There are total 120 questions in JSSC LDC Exam 2017. A time duration of the exam is 2 hours. The contribution of Jharkhand in Indian National Movement. Administration, Local Government, and Panchayatiraj. Current Affairs of Jharkhand etc. Conclusion JSSC LDC Syllabus 2017 | Panchayat Secretary Exam Pattern: Jharkhand Staff Selection Commission will hold the exam in the month of June/ July 2017. JSSC Panchayat Secretary Syllabus 2017 – Jharkhand SSC LDC Exam Pattern is available on this article Jharkhand SSC Syllabus. Sir I belongs gharkhand .I want to know that meant of local language. Sir prelims exam will be held.please can you explain. Sir ……….how will exam ????? Kya registration ka date extend ho skta h? sir I want to know strategy to crack jssc LDC.